Take a moment right now to think about how your business would proceed if it lost all of its data. Documents, spreadsheets, presentations, contact information, emails, photos, financial information, and important programs would all be gone forever. The loss of company data is a disaster that most companies can’t recover from. A quality data backup solution for your company is absolutely critical. Data backup solutions should be completely automated requiring no manual human intervention and include a disk based local copy for faster restore times. Cloud based storage for your data is also important. If a disaster such as a fire of flood ever hits your business you will need to have a copy of your data stored offsite in order to endure complete recovery. Storing data with a cloud based service can make your work life significantly easier and more efficient. Many cloud services even sync with your local backup guaranteeing minimal disruption to your business if your data has to be recovered from the offsite source after a disaster. A good website is going to take time and money to design, operate, and maintain. In the digital age, it’s absolutely essential for your company to have a strong online presence with a website that is designed specifically for search engine optimization. You’ll want to go above and beyond the free templates that don’t get noticed my search engine web crawlers. Invest in a good design and strategic marketing content. It will pay off. You shouldn’t rely on your consumer-grade desktop printer any longer. Your documents can be printed faster and more efficiently with a higher quality commercial grade printer. The total cost of ownership of commercial grade printers are actually much less than a local desktop printer. You’ll also be able to connect all of your company employees with a print server so all employees can print quickly and efficiently. Invest in a print solution that can keep up with your business, not slow it down. This may seem obvious, but don’t purchase hardware that only meets your businesses current needs. In other words, purchase hardware that will allow your business to grow over the next 3-4 years. Don’t let your hard drive space, CPUs, RAM, etc. limit how your business can grow. Purchase upgrades that allow for future growth. Your network security solution MUST be on your list of essential technology expenses. The last thing you need as a small business is to catch malware that slows down or completely disables you from using the tools that enable productivity. 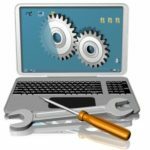 Most computers come with a software firewall, and/or limited anti-virus subscription, but you’ll want to upgrade to hardware based firewall and antivirus software that is updated at least daily. You can’t prevent a viral infection with outdated antivirus software. All companies need IT support. 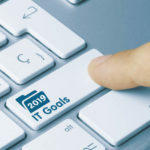 Even if you’re a computer wizard, you won’t necessarily have the time to take care of your IT issues without neglecting other areas of your business. 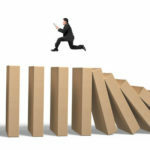 Having an IT solution in place before something goes wrong will dramatically decrease your downtime. Whether you hire your own IT technician, or outsource the work to a 3rd party, this is a necessary expense for your company. Quikteks is a powerful outsourced IT option for your company. In fact, we provide support and solutions for all items on this list. In order to expand your business, you’ll need to have the right tools in place. Technology provides some amazing ways to increase productivity and efficiency, making it easier than ever before to spend more time tending to actual business matters. Quikteks can provide quick, convenient, and customized service and support to your business. Call us today at PHONENUMBER to learn how better technology can lead to better business.